For over a decade, the double board certified surgeons, Drs. 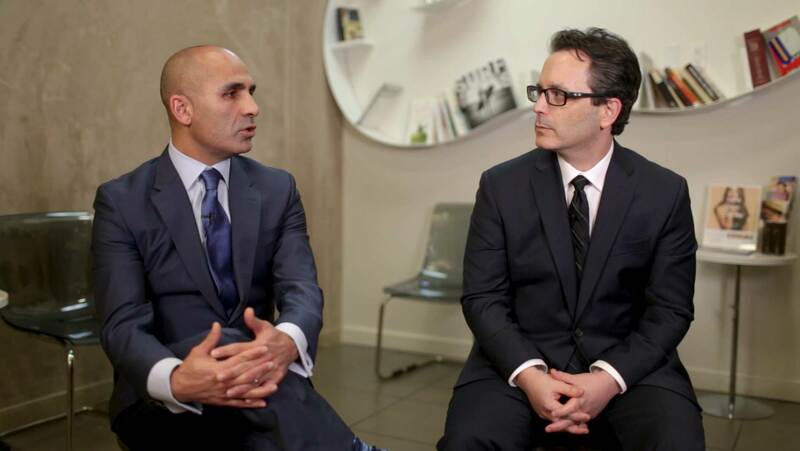 Solieman and Litner, have successfully operated together on 250 rhinoplasty patients a year, making them one of the most experienced rhinoplasty surgeon teams the world over. So, whether you are looking for your first surgery or requiring revision surgery, we invite you to come and see why patients from literally all over the world fly to have surgery with the dynamic duo at Profiles Beverly Hills. If you are considering Rhinoplasty or Revision Rhinoplasty, you have come to the right place. Our unique two-surgeon team, made up of Dr. Solieman and Dr. Litner, specializes in natural, beautiful Rhinoplasty results. 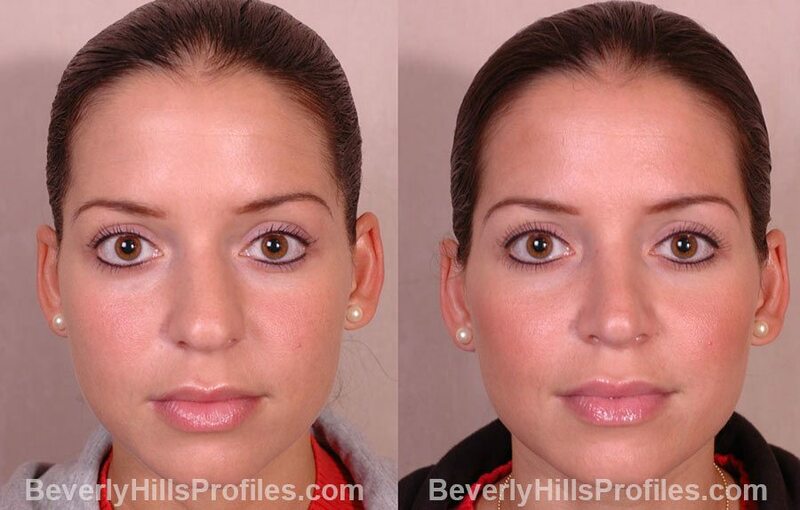 At Profiles Beverly Hills, we care passionately about Rhinoplasty and have made it a particular focus of our Facial Plastic Surgery practice. Rhinoplasty and Revision rhinoplasty are very intricate, nuanced procedures where the difference between a fantastic result and the need for revision is often separated by millimeters. Having both double-board certified surgeons, Drs. Solieman and Litner performing each step together is the reason we are one of the foremost rhinoplasty centers in the world. Our commitment to you begins with you first visit but never ends. Unlike breast augmentation and other procedures that may need to be redone or revised after years, we know that when rhinoplasty is done right, it stands the test of time. We follow all our patients both in the short term and long term to ensure that you not only get the nose you have always wanted, but that it stays that way. Drs. Solieman and Litner will do everything possible to make sure that your first nose surgery with us is also your last. By working together, Drs. Litner and Solieman are able to consistently achieve some of the highest success rates anywhere in the world. In fact, we are so confident that we can achieve your goals that we can offer you our Profiles guarantee. Should we find that your rhinoplasty result fell short of our imaging goals, we will offer a revision at no cost to you. That means no anesthesia cost, no surgery center cost, no surgeon fees…and that is something you will not find anywhere else in the world. Feel free to browse through our various photo galleries. What you will find is that each patient has a look that seems to be perfect for him or her. Here at Profiles, there is no “cookie cutter” surgery. Every procedure is uniquely and individually tailored for you. We have patients who come to us from all over the world with different skin types, different aesthetics, and different goals, and we work with each of them to accomplish the beautiful, natural look that is right for them. As rhinoplasty and revision rhinoplasty surgeons, Drs. Solieman and Litner know that it is critical to recognize that nasal aesthetics and form cannot supersede function. In other words, we know that it would make no sense to give you an attractive nose through which you cannot breathe. 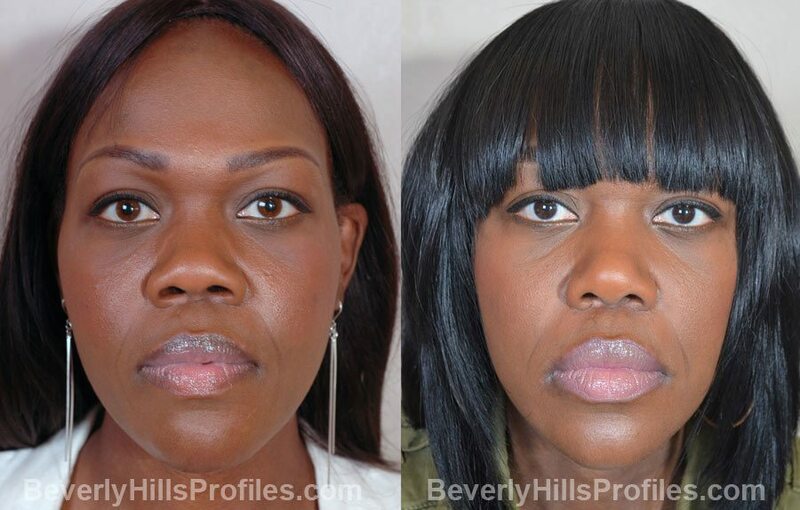 As a result, when you come to Profiles Beverly Hills, you will find that we employ only proven surgical techniques that will achieve your desired aesthetic changes while allowing for long term support and function. Our expertise allows the Profiles Los Angeles surgeons to shape your nose in the desired way without causing you problems with breathing. Drs. Litner and Solieman know that they can be technically perfect but, if what is achieved is not considered by you to be aesthetically pleasing, surgery will be considered a failure. So rather than discussing an “ideal” nose, they recognize that they must discuss with you what your desires are rather than what any preconceived notions of beauty might be. Today, computer imaging is an enormous help in the exploration and dialogue between you and your surgeons. Utilizing the imaging system at our office in Los Angeles, Drs. Solieman and Litner can clearly define your present asymmetries and contour irregularities, and will then show a realistic view of what can be accomplished to balance your nose with your other facial features. During the preoperative evaluations, Drs. Litner and Solieman will both listen carefully to you as you voice your concerns, not only with respect to what you want changed, but also what you wish to remain the same. In other words, exploration of your aesthetic goal is essential in planning your individualized surgery. For that reason, we don’t rush you out of the office. You’ll find our atmosphere relaxing and non-intimidating so that you can make the best decision for you. What makes a nose look natural and beautiful? A good choice for a Rhinoplasty Surgeon, at the very minimum, should be appropriately credentialed in the specialty of Facial Plastic Surgery or General Plastic Surgery. That means that the surgeon has passed a minimum standard involving a record of training and a rigorous oral and written examination process. But, once that standard is met, there is unfortunately no one watching over the surgeon’s shoulder while he operates. Click here to read more. Drs. Litner and Solieman know that they can be technically perfect, but if what is achieved is not considered by you to be aesthetically pleasing, surgery will be considered a failure. So rather than discussing an “ideal” nose, they recognize that they must discuss with you what your desires are rather than what any preconceived notions of beauty might be. A masculine nose is characterized by a profile with a strong, straight nasal dorsum. In approaching male rhinoplasty, Drs. Litner and Solieman have learned numerous lessons regarding male aesthetics by listening to the concerns of patients presenting for revision rhinoplasty previously done elsewhere. Specifically, men present when there is scooping out of the nasal bridge, overrotation of the tip (tips that are turned up too much), excessive narrowing on frontal view, or a nose that has been excessively shortened. And so, Drs. Litner and Solieman approach the male patient conservatively in order to maintain a “strong masculine” aesthetic. We are often asked to perform rhinoplasty in young adolescents. Nasal surgery on children has long been a focus of discussion in the medical literature. As experts in rhinoplasty and nasal surgery, at Profiles we believe that discussion regarding nasal surgery in children has to be divided between functional surgery and cosmetic rhinoplasty. When dealing with children with functional problems, surgery such as septoplasty can be done as early as necessary in order to restore nasal function and to prevent the consequences that may arise due to misplaced anatomic structures. In these patients, extra care must be taken to preserve as many structural supports and as much septal continuity as possible in order to insure normal nasal growth. Click here to learn more. Many of our older patients have “always wanted something done” and have now found motivation to have rhinoplasty secondary to a variety of circumstances including: newly acquired economic independence, nasal trauma, undesirable changes in appearance, or seeing a friend or family member having a surgical success. In general, our older patients are seeking refinement of the changes brought on by aging. By providing conservative and subtle changes, we are able to accomplish a natural look that provides a meaningful overall rejuvenation to the face. Click here to learn more. Computer imaging is extremely important in our practice in helping our patients to articulate their goals for rhinoplasty surgery and for us to be able to communicate effectively what can or cannot be accomplished with surgery. It is not just about drawing a picture of a good-looking nose. For us, it is about being able to show accurately how each proposed change in surgery will truly affect every other aspect of the nose. It is critical for us that we are honest, precise, and real in our imaging. For that reason, we do not over-image but, instead, image a change that we know we can deliver. As a result, we are not only comfortable sending our patients their images before surgery; we use these images as a vital tool to facilitate conversation during the final pre-op visit to make sure that we completely understand the desired aesthetic. And then, we do not deviate from this aesthetic during surgery. Click here to read more. Why aren’t more plastic surgeons interested in Ethnic rhinoplasty? Facial Plastic Surgeons should be more interested in ethnic rhinoplasty because the number of interested African Americans, East Asians, and Hispanics is rising dramatically! It still represents a minority of most rhinoplasty practices, though. Ethnic rhinoplasty requires a totally different view of aesthetics, principles, and tools to achieve appropriate augmentation and definition. A dramatic change in a profile pic after shaving down a big bump is probably the easiest thing to do in rhinoplasty. So, you see surgeons’ websites full of these examples. (Hint: look for a surgeon who shows you the other views too…the front view and three quarter views are often the most important because that is how the world sees you). The differences in skin thickness, cartilage consistency, and other factors in ethnic patients can often mean that it is harder to achieve a dramatic change. Most ethnic patients have a tendency towards thicker skin combined with softer, less distinct cartilage. A lot more grafting is required than in a typical primary reduction rhinoplasty that makes a nose smaller. But, if you see a rhinoplasty specialist, the type of pleasing, balanced result you are looking for should be achievable. You just might have to dig a little deeper to find a surgeon with lots of experience in Augmentation Rhinoplasty. Drs. Litner and Solieman are trained to perform your nasal surgery in either the “closed” or “open” technique. In the closed technique, they perform rhinoplasty from within the nose, concealing the incisions inside the nostrils. In other cases, an “open” procedure is warranted, especially in more complicated cases or when the nasal tip is the focus of the surgery. Should you choose open or closed rhinoplasty? Open or Closed Rhinoplasty to reduce a bump? Many patients present for rhinoplasty because they are unhappy with either how wide their nasal tip is (how bulbous it is) or how far it sticks out from their face (how over-projected the tip is). Drs. Solieman and Litner recognize that, while there are many nasal tip techniques involving modification of the nasal tip cartilages, with time certain techniques result in excessive narrowing or asymmetries of the nasal tip with or without attendant nasal dysfunction. Moreover, they know that one of the main reasons so many patients have revision rhinoplasty is because their first surgeon did not know how to safely make the nasal tip smaller (de-project the nose). Having recognized early on that most patients want smaller noses, our Los Angeles doctors have researched and published extensively on the techniques that are safe and effective in accomplishing exactly that goal. Our techniques rely primarily on precise suture placement and tension control to create a natural-appearing and stable nasal tip contour. Other techniques that modify the cartilage itself always retain your cartilage strength to ensure predictable healing. So whether you’re considering your first nose job or a revision, you should know that our powerful techniques can give you the smaller, refined tip you want. When you’re thinking about a nose job, you either don’t care how it’s done or you just want to make sure your surgeon can deliver the result you want, and that’s it. Or, you may join a growing group of people who want to research the procedure in detail to learn the pluses and minuses of open vs. closed rhinoplasty or Technique A vs. Technique B. Most people have a hard time understanding nasal tip surgery. Taking down a bump on the bridge is easy to understand. A little shave here or there…it makes sense. But, it’s harder to wrap your head around how we make your tip smaller without removing a lot of cartilage and having it fall in over time. Nasal bump reduction is one of the most commonly performed procedures in rhinoplasty. Surgical websites are full of patient photos, usually in profile view, having had hump reductions. While they look dramatic, an impressive reduction in this view is one of the relatively simpler things to accomplish in rhinoplasty. When evaluating a surgeon’s results, look for examples showing multiple views so that you get a better perspective of the overall outcome. As in life, what may look good from one vantage point may look decidedly different from another angle. At PROFILES Beverly Hills, Drs. Litner and Solieman specialize in removing unwanted bumps while retaining a natural, un-operated profile. The complaint of nostrils that are “too wide” is a problem that we frequently encounter among patients, and especially in certain ethnic groups. Alar base (“nostril narrowing”) surgery poses a unique set of difficulties. External incisions can be noticeable, especially if they are designed incorrectly. Most commonly, evidence of alar resection is noted as a teardrop or “Q” deformity in the base of the nostril. In others, the nasal base appears abnormal, as the smooth contour of the nasal sill has been interrupted or because resection has resulted in more marked asymmetry. Moreover, overresection can result in a narrow dysfunctional nostril opening that is difficult, if not impossible, to correct. In other words, when alar base reduction is done incorrectly, a patient can lose the natural curve to the nostril and be left with a very triangular look (think Michael Jackson or Latoya Jackson). Drs. Litner and Solieman employ alar base reductions in the context of an overall surgical plan and normally defer this portion of the case to the end of the surgery. No surgeon can determine preoperatively the exact location, shape, and amount of alar base alteration which is required because nostril size and shape as well as alar base width and flare are all affected by other changes made during rhinoplasty. Specifically, increased tip projection (making the tip bigger), will often sharply reduce the alar flare and alar base width. On the other hand, retrodisplacement of the nasal tip (making the tip smaller) has, at least classically, been noted to create alar flaring as well as a rounded nostril. As such, Drs. Solieman and Litner view alar base surgery as a useful adjunctive measure that they employ to provide an additional measure of refinement. Moreover, their specific techniques, developed over many years, maximize the chances for a smooth, natural nostril contour with no discernible scar. Click here to learn more. Finesse rhinoplasty is the elective cosmetic case for those of our patients who desire or need the most subtle of refinements. In many cases, family and friends tell them they do not need surgery at all. However, even “small” deformities may be a source of lost work for models/actors and a genuine concern for others. Most of you have attractive noses to begin with, but wish to get even closer to your ideal. In these cases, we perform the very subtle changes that necessitate our most precise understanding of facial aesthetics and adept surgical control. Can Rhinoplasty cause breathing problems? Oftentimes, our PROFILES Los Angeles doctors find that the diagnosis previously given to patients for their breathing problems does not fully account for all findings. In fact, reports suggest that 20%-30% of patients who undergo septoplasty find that their breathing symptoms are not adequately corrected. The complexity of this problem is one of the reasons that Drs. Litner and Solieman, both Double Board Certified Facial Plastic Surgeons, have devoted so much of their training and research to the proper diagnosis and treatment of these problems. The typical rhinoplasty done in the 1980’s or even 1990’s relied heavily on reduction of prominent cartilage and bone to achieve a more refined look. Knowledge of the long-term effects of such techniques was spotty and, so, many unfortunate patients were left with the trademark ‘operated’ appearance of a pinched, droopy, or distorted tip, and scooped-out nasal bridge. These occurred because the newly-weakened structural elements of the nose could no longer provide the necessary support, often leading to breathing trouble. The forces of healing are dynamic and often operate for several years before these outcomes are evident. So, a postoperative result may look great immediately after surgery, yet evolve into a dismal failure over time. Likewise, collapse of the nose’s structural supports will compromise the basic function of the nose, namely breathing. Modern thoughts on rhinoplasty take a much more conservationist approach. As much as possible, reshaping and contouring are achieved with suture and graft techniques that will usually leave the nose ‘stronger’ than it was preoperatively. While many surgeons think of nasal breathing more as an afterthought, those who have an interest and experience in rhinoplasty will assign as much importance to nasal function as to aesthetics. The result, at Profiles Beverly Hills, is that once short-term swelling is resolved, your breathing should be as good or better than before and the changes to your nose should remain ‘stable’ for a lifetime. Beauty vs. Breathing: Do I have to choose? Read our comprehensive Modern Rhinoplasty Textbook. This example shows a man who had undergone Rhinoplasty twice in his home country many years previously. His nose changed over time, leaving him with a feminized pinched tip and severe nasal breathing problems. On breathing deeply through his nose, his nostrils collapsed completely into tiny slits. During his Beverly Hills Revision Rhinoplasty, he had multiple grafts placed including batten grafts, spreader grafts, and a tip graft to achieve significant improvement in his breathing and restoration of the nose he had wanted originally, as shown in this 1 year postoperative photo on the right. We see many patients who had wanted a pretty, small, feminine nose and ended up with a pinched tip, nasal collapse, and breathing problems. We often enter into a lengthy discussion regarding what would need to be done during a revision surgery to correct both their breathing concerns and improve any aesthetic issues. Often, these two overwhelming concerns are aligned. That is, whatever must be done to improve breathing (usually involving grafts) would also tend to make your nose look better. On the other hand, sometimes these concerns may work against each other. For example, improving breathing might involve having to widen or enlarge your nose slightly at the bridge (with spreader grafts) or the tip (with tip or batten grafts), something we need to take into account when we consider nasal aesthetics. Most people, when we show them how widening their noses slightly would appear on computer imaging, are quite happy with the idea. They feel that the new image looks more natural and returns them closer to the nose they had wanted originally. But, some patients who had rhinoplasty many years ago or when they were very young may have lived with the look and feel of their current noses for so long that it is all they remember. They may not report more than minor breathing problems even though significant nasal obstruction is evident on examination. Their current level of nasal breathing is all that they know. These patients are often pleasantly surprised after revision rhinoplasty because they never knew they could breathe so well. Likewise, while most patients are horrified with a pinched and shortened nose, a minority of patients may have learned to incorporate this look into their body images. So, they may not be too interested in the idea of widening or lengthening their noses. This is usually not an issue for men who can tolerate a stronger nose. Our challenge is to find the happy medium here to create a nose that looks good for you and through which you can breathe. It wouldn’t make any sense to give you a narrowed, refined, ultra-feminine nose if you can’t breathe through it. Similarly, when we must reconstruct and widen your nose to improve its function, we need to thin and tailor our grafts so that they also enhance your nasal aesthetics or, at the very least, have no negative impact. Again, it makes no sense to us to have you breathing perfectly through a big, overbearing nose that dominates your other features. Finding balance and restoring harmony is the key that, with careful consideration and planning, can be achieved. Nasal Allergies, whether seasonal or year-round, generally are not a factor in rhinoplasty. If you experience nasal allergy symptoms, you should be thoroughly evaluated to see if there are any other factors that may exacerbate your breathing problems- such as a deviated septum or enlarged turbinates. If these problems are also present they should be addressed during your rhinoplasty. Otherwise we find that in general patients have a period of reprieve from their allergy symptoms following surgery. We do counsel our patients not to blow their nose for about 2 weeks after surgery and also to keep your mouth open if you have to sneeze. Overall, there should be no reason why your allergies should affect your surgery with us. Drs. Litner and Solieman trained separately with world experts in Rhinoplasty and Revision Rhinoplasty, and their combined years of experience and patient follow-up ensure that your great result will stand the test of time. They know what works and what doesn’t and will only use techniques that produce predictable and stable results for a lifetime. Not only have our doctors published and taught extensively on the latest techniques in Rhinoplasty and Revision Rhinoplasty, they combine that knowledge with the technical skill needed to achieve your goals. In fact, they are often the surgeons’ choice for Rhinoplasty referral. We treat every Rhinoplasty patient like you are our only patient. That means we’ll make sure to listen to you, answer your questions, and arrive at the surgical plan that is right for you. Then, both surgeons will apply their expertise to make those goals a reality. And, we do not disappear after the procedure. You’ll see our doctors at each and every post-operative visit to make sure that you obtain the result you want. We will keep downtime to a minimum. We do use nasal packing and many of our patients require almost no pain medication after Rhinoplasty. Careful work by our doctors results in quick recovery and less swelling. Unlike many surgeons, we never take a ‘cookie cutter’ approach to Rhinoplasty. Because our surgeons have extensive expertise, they can choose the best tools to fit your situation. So, there is no such thing as a ‘Profiles Nose’. Instead, we start with your vision for your new nose and adapt our techniques to bring that vision to life. The result is a balanced and beautiful nose that completely matches your features. We recognize that trusting anyone with your nose is a big step, and so, we return that assurance by committing to your happiness. We care enough to follow you for years to make sure you stay happy. And, we’ll prove it by standing behind our results. It is that enduring commitment that continues to keep our personal revision rates at close to zero. We believe one thing is clear: nothing has a greater impact on how a person looks than the size and shape of the nose. Because the nose is the most defining central characteristic of the face, a slight alteration can greatly improve your appearance. Drs. Litner and Solieman are double board certified facial plastic surgeons, providing you with the highest level of training and expertise. They understand that good communication is essential in the planning of your rhinoplasty. Skin type, ethnic background, and age are important factors to be considered in discussions with Drs. Solieman and Litner prior to surgery. The PROFILES Beverly Hills website has been designed so that you may freely choose to read the links that most specifically address your particular concerns.